The Portia and Scarlett 17022T Long Sleeve Evening Dress is truly beautiful and will stand out at any special occasion! The drama of the sequin pattern, and the strikingly feminine style will be sure to impress at your next event! The enchanting Portia and Scarlett 17022T Long Sleeve Evening Dress is an extremely glamorous, traditional gown with a floor-length skirt, and long sleeves. The gown has a stunning sequin mesh overlay- exposing the upper chest and arms, and a sweetheart slip dress underneath for modesty. 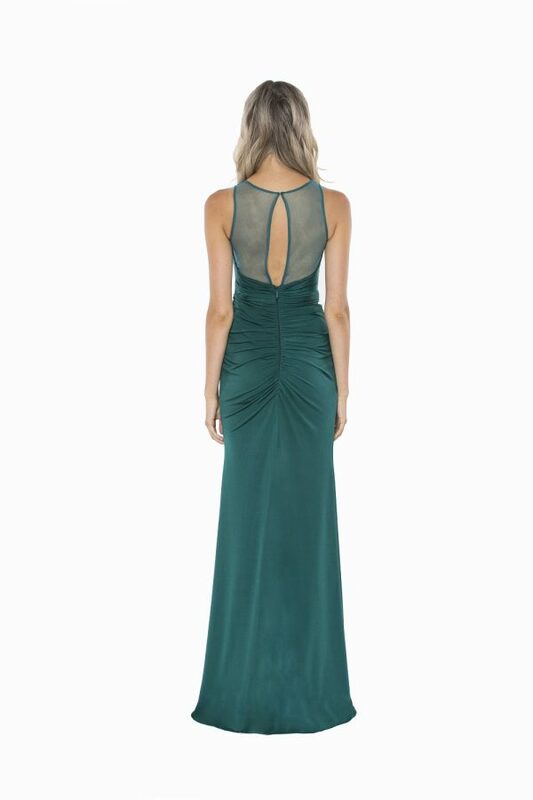 The back of the dress features a glamorous train that starts from just below the knee.